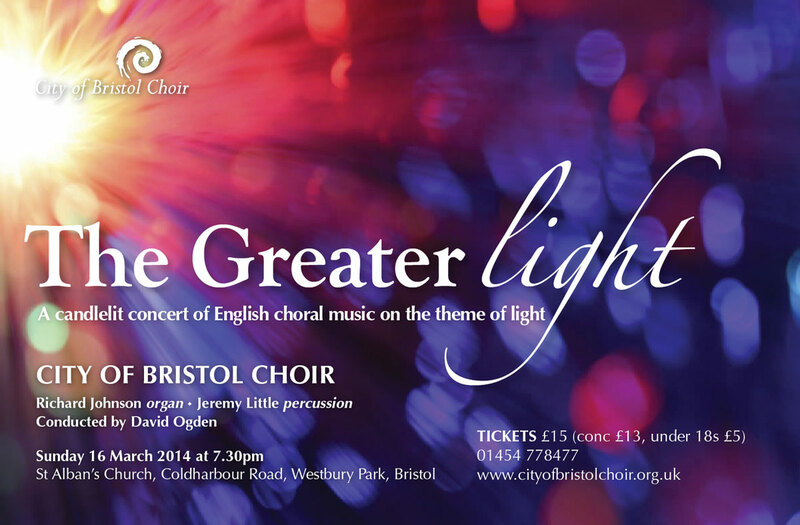 City of Bristol Choir presents an atmospheric concert of romantic English choral music on the theme of light including works by Vaughan Williams, Chilcott, Talli, Holst, Elgar and Martin Shaw. In the candlelit ambience of St Alban’s Church, the 100-strong choir will be accompanied by combinations of bells, organ and percussion to create both mystical and celebratory sounds and moods. 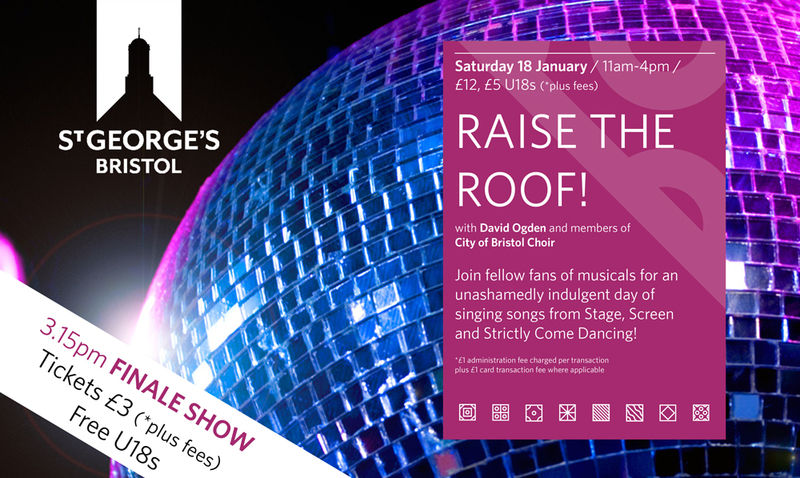 Tickets £15 (concessions £13, under 18s and full time students £5) from www.cityofbristolchoir.org.uk and by phone on 01454 778477. This year’s Sense of the Divine concert is out of this world! 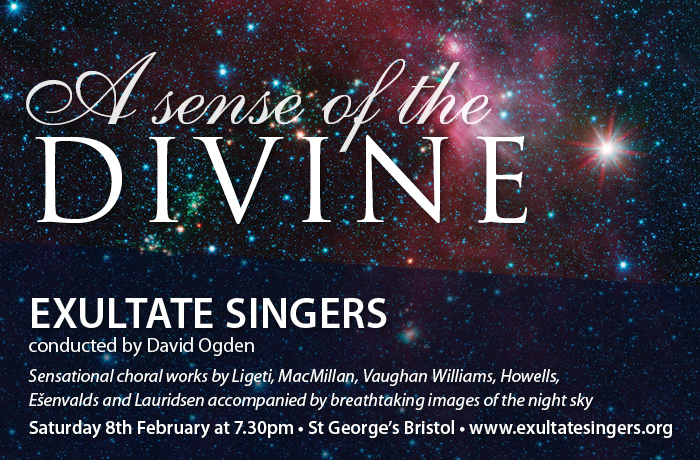 Singing music spanning 1000 years, Exultate Singers perform choral works inspired by the universe, the moon, planets and stars. The centrepiece is Lux aeterna by Ligeti, written for Stanley Kubrick’s iconic film 2001: A Space Odyssey, and Vaughan Williams’ wonderful setting of Shakespeare’s words in Serenade to Music, marking the 450th anniversary of the playwright’s birth. 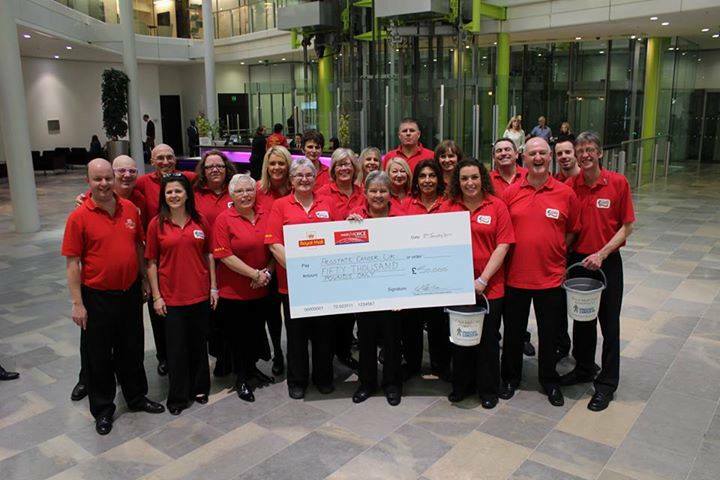 The singing talents of the Royal Mail Choir have helped to raise £50,000 for the Royal Mail’s Charity of the Year partner, Prostate Cancer UK. 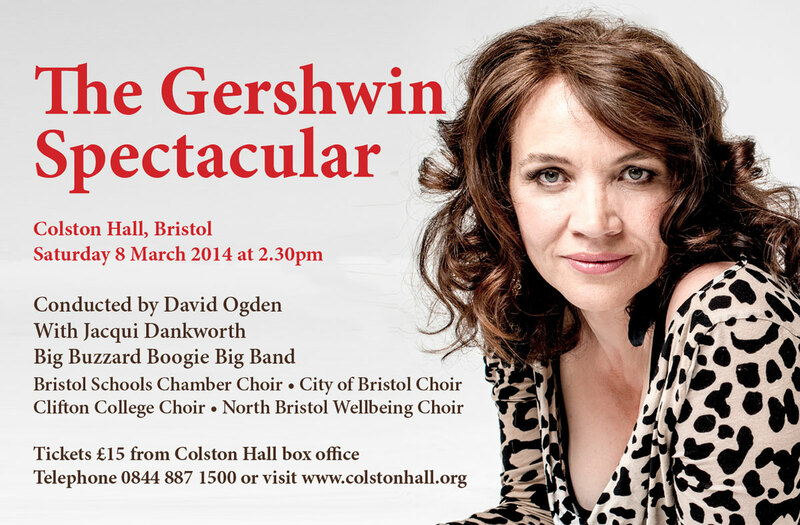 The Royal Mail Choir, which is conducted by David and made up of postal workers from Bristol Mail Centre and the Bath area, has reached the milestone by performing numerous concerts in aid of the charity across the UK. The sum includes penny for penny matched giving from Royal Mail Group. The choir has sung at events in the UK as well as Europe, released a charity single in aid of Prostate Cancer UK with former X winner, Joe McElderry, and most recently recorded a new version of ‘All You Need Is Love’ for Royal Mail’s TV advert, We Love Parcels. The money raised will support Prostate Cancer UK’s vital work in supporting men and their families affected by the disease. 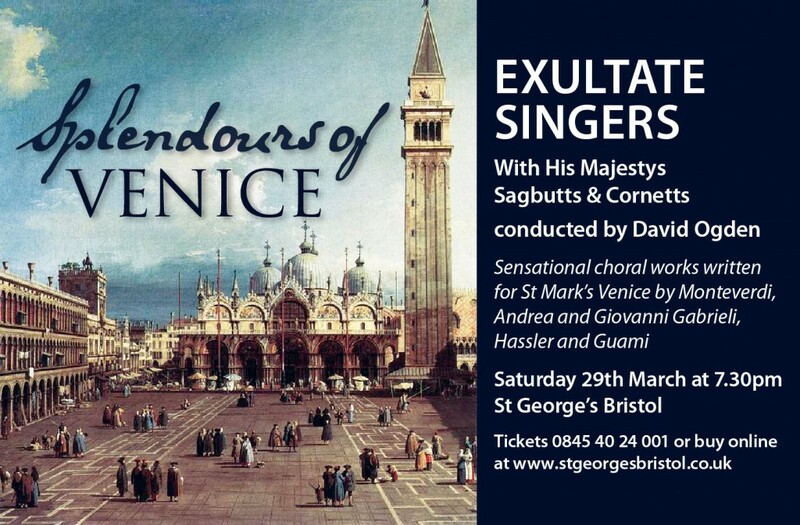 Realms of Glory is a brilliant new collection of choral classics and contemporary works, reflecting City of Bristol Choir’s talent and flexibility and more than justifying their reputation as of one of the finest choirs in the South West.